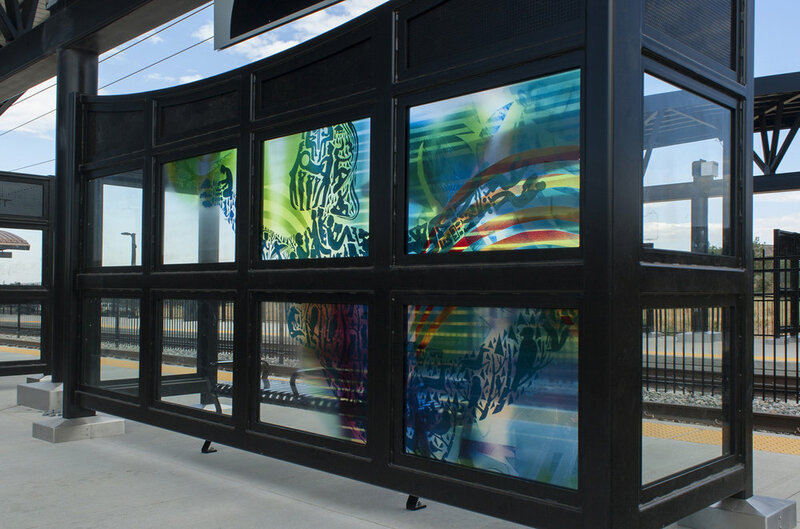 Total of 24 windscreens permanently installed along the I-225 rail line in Aurora, Colorado. 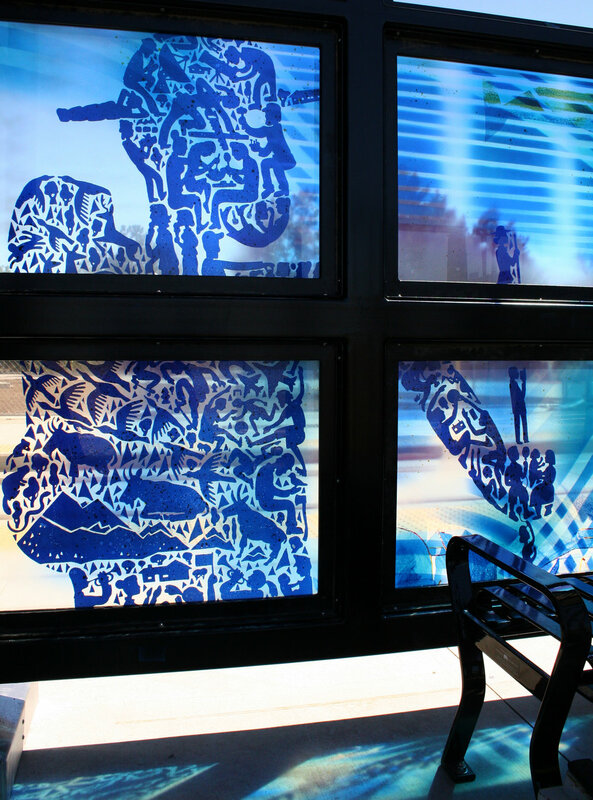 The origin of the artwork stems from how this community in Denver is one of only two majority-minority cities in Colorado. The art needed to reflect the richly diverse ethnic communities found in the area and it's great diversity, both culturally and environmentally, through movement and color. The title translates to: All Aurora, All the World, All Moving.